Facebook is breaking up with one of its fact-checking partners, raising fresh questions about the social network’s commitment to fighting disinformation. 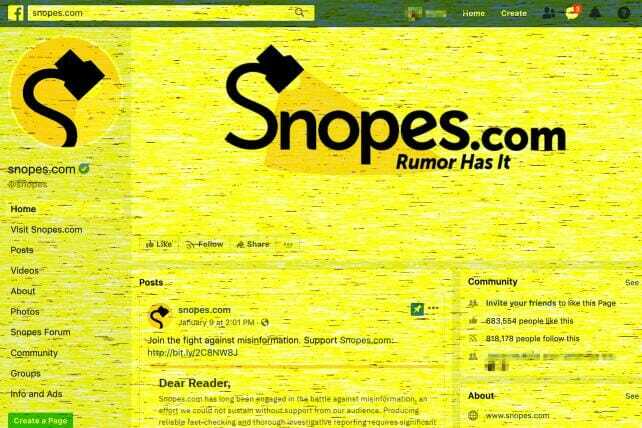 Last week, the fact-checking site Snopes revealed that it would not stayon with the program this year; meanwhile The Associated Press is still evaluating its commitment. The program started in 2016 when Facebook tapped third-party fact-checkers to help weed out false news in an effort to prevent the type of disinformation campaigns that marred the 2016 U.S. presidential election. In the past two years, Facebook has worked with dozens of organizations in 25 countries to identify potentially misleading information and limit how many people see it on the social network. Garett Sloane – Ad Age – February 04, 2019.